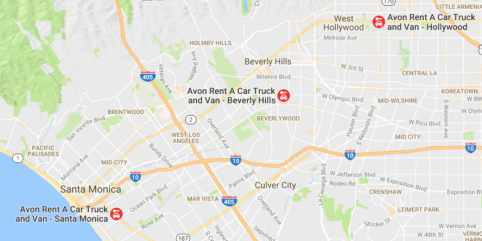 Hollywood, Beverly Hills and Santa Monica with 24/7 dropoff for your convenience! 180,000 Sq. 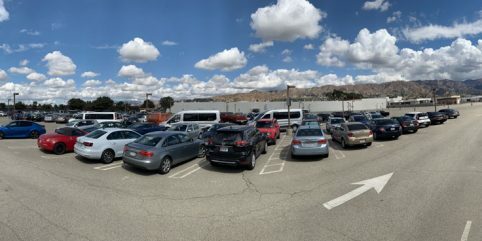 Ft and 523 DEDICATED parking spots for base camp, truck and van parking across the street from Burbank Airport! Whether you're in film production, running a small business, moving, or need a car for the weekend - we've got you covered! We have all the trucks to meet your film production needs! “Quick, friendly and they have exactly what I need every time." “The equipment was great, people were more than helpful. I've rented hundreds of vehicles and this was the best rental experience I've ever had!" "Everyone at Avon is friendly and efficient. Pick-up and drop-off are easy. I had forgotten to order moving blankets and they quickly called in my order and had me on the road in no time. I've gone back before and I'll go back again."